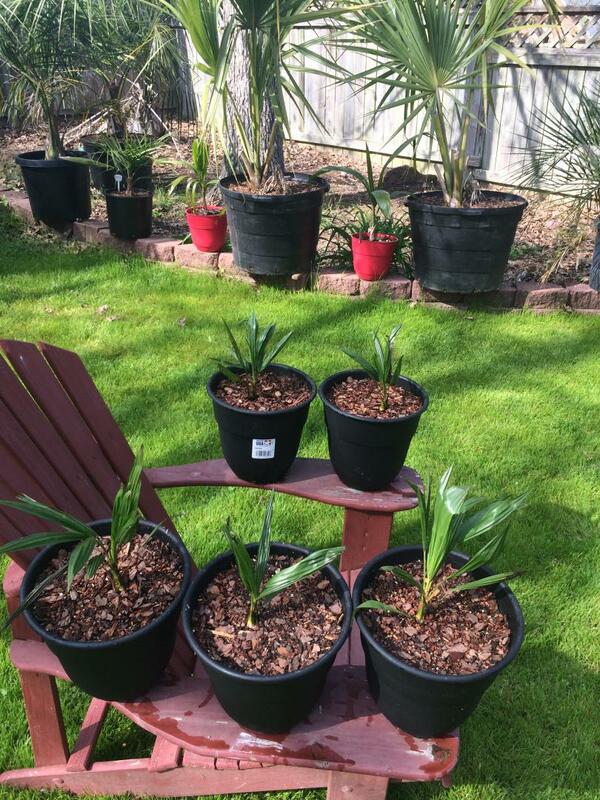 I have some trachycarpus seedlings that I like to give away free to any blue state growers, sorry no foreign shipping. Just PM me your address and I will send some out to you right away. Seedlings are a few years old. Thanks! So they're only up for folks who live in states that lean to the left? Update: Forgot to add, if you live in a red state but live in a blue county or parish I will gladly send you some seedlings. RJ, not necessary after the blue states I could send to the Red States if any left. these are Premo seedlings, large with good root systems. All you have to do is ask or PM and I will send some to you... pm your address and how many you like, thanks! Thanks for the offer but shipping is free! yea RJ my state only leans to the right too. It may be illegal to plant left palms in Texas! Do you know what species that is? Thanks. PM sent. I’m in a left leaning county at least lol! Thanks, everyone for letting me have some fun with the Blue versus Red states. It all good and well would you looky here a few Red states did get in on the fun! Here are some of the seedling that will be going out soon. They are all gone! You're all welcome, enjoy your new babies. Your welcome and glad you got some. I dub thee Trachycarpus fortunei var. PalmCrazy from now on. I made sure yours are left of center palms. LOL! But no far left! LOL! Well, PC made good on the bold statement to ship 5 Trachycarpus fortunei var. PalmCrazy to a red state. They all arrived on Friday but I couldn’t get to potting them up until this afternoon ! I had run out of 2g pots and had to make an emergency run to pick some up at Wally world. Thank you very much, they’ll have a nice safe home! 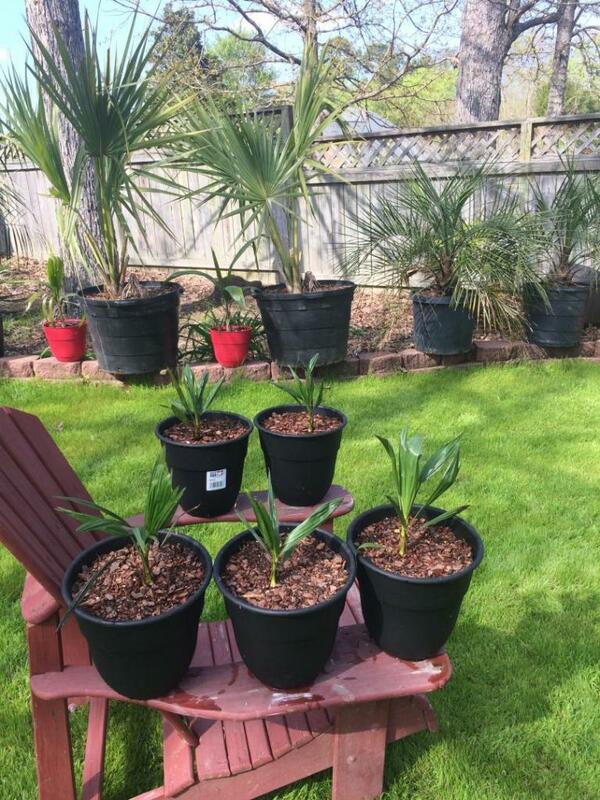 Glad you like them and they will give your garden lots of enjoyment thanks for the kind words. Thank you for the palms! My mother will enjoy these for years!